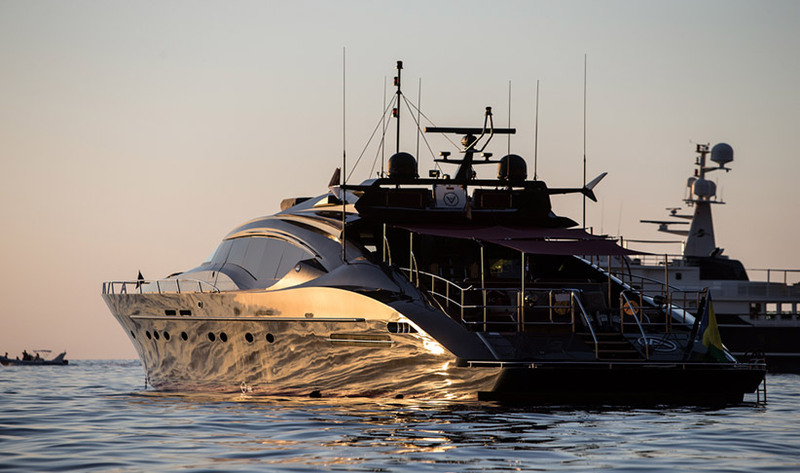 Based in Ibiza year round, My Ascari, the Palmer Johnson 120, is the ultimate 35m superyacht available for family charters or VIP Ibiza style day charters in Ibiza. 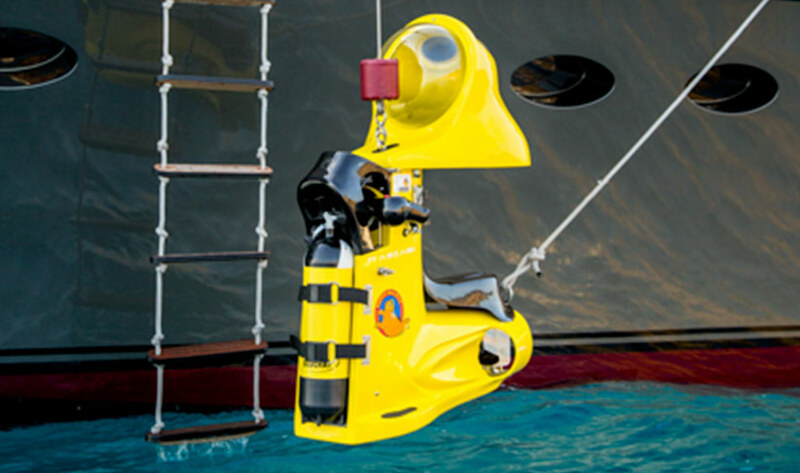 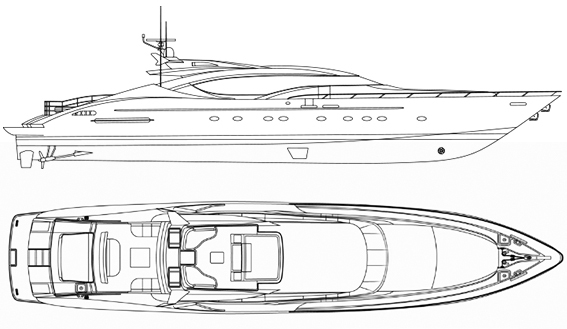 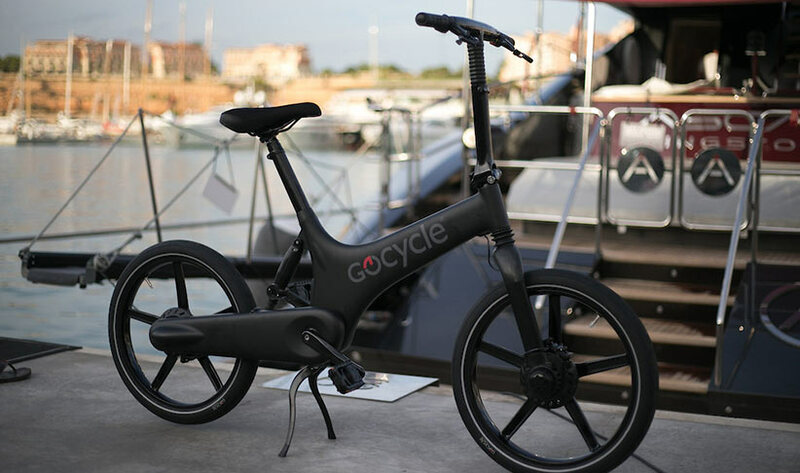 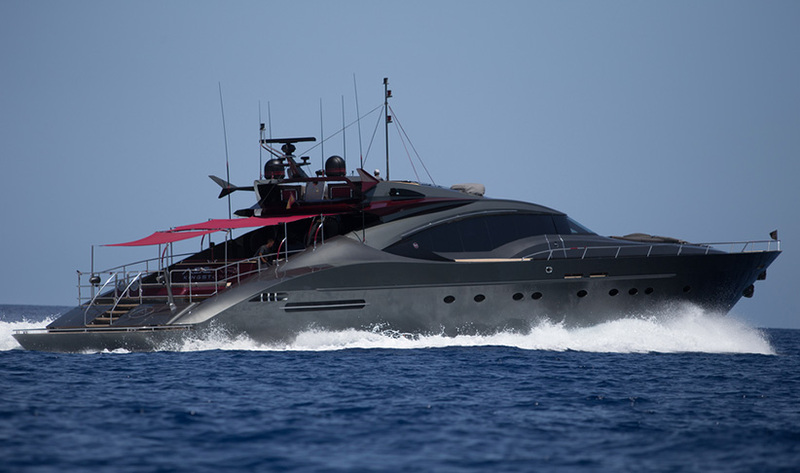 With a maximum cruising speed of 22 knots (top speed 30 knots) her power is unmistakable. 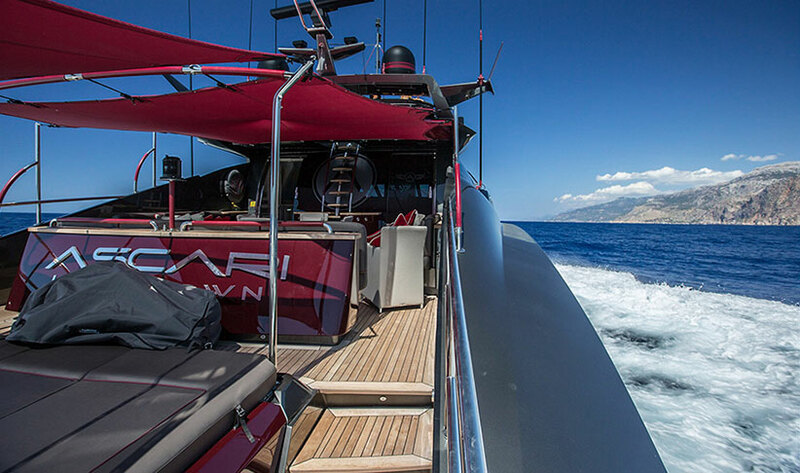 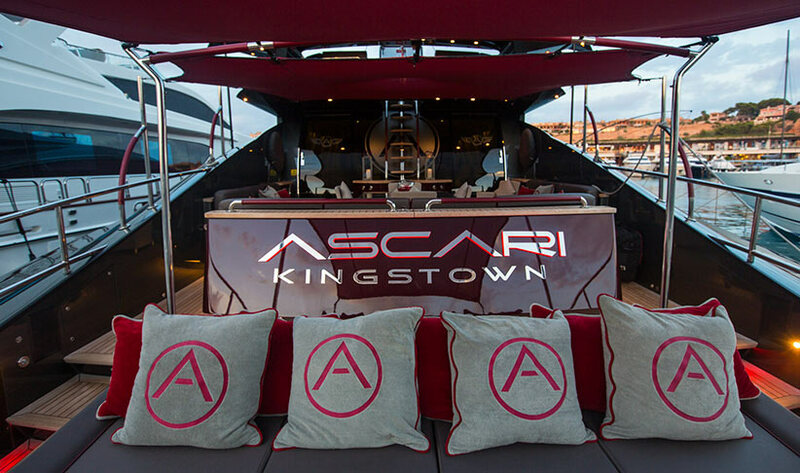 ASCARI’s fun, family-friendly, highly experienced crew of 5 includes a Balearic-born Captain with several thousand sea miles, a specialist cocktail barman and a yoga master. 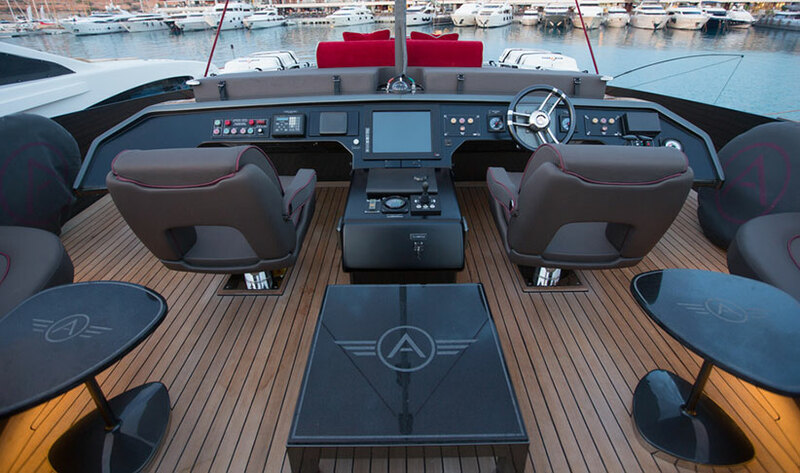 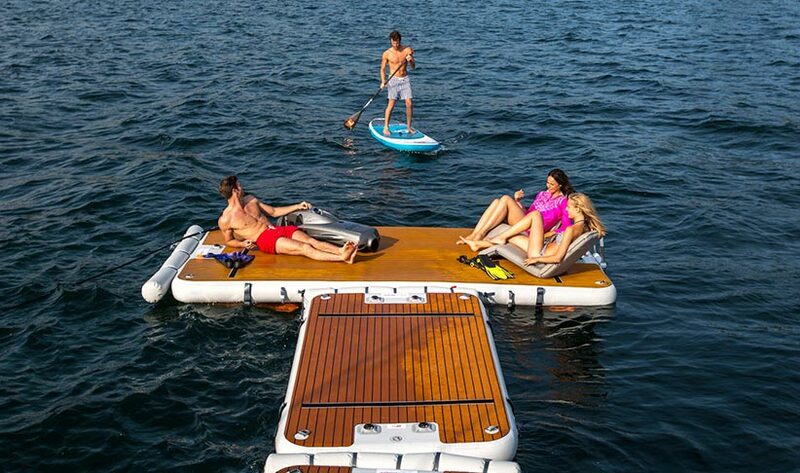 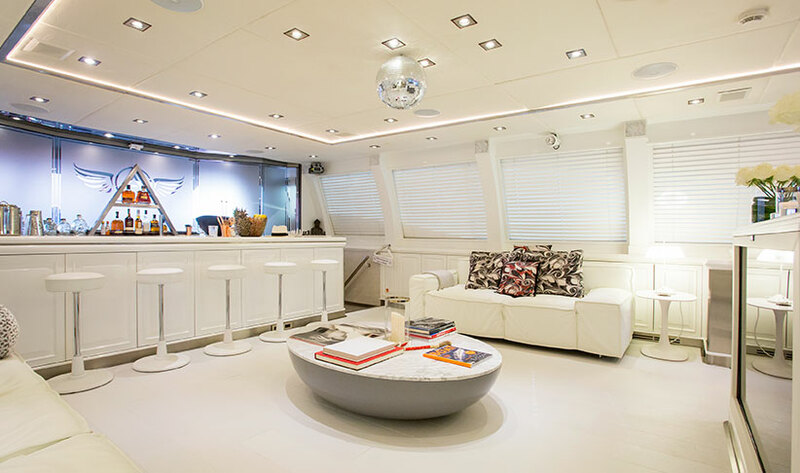 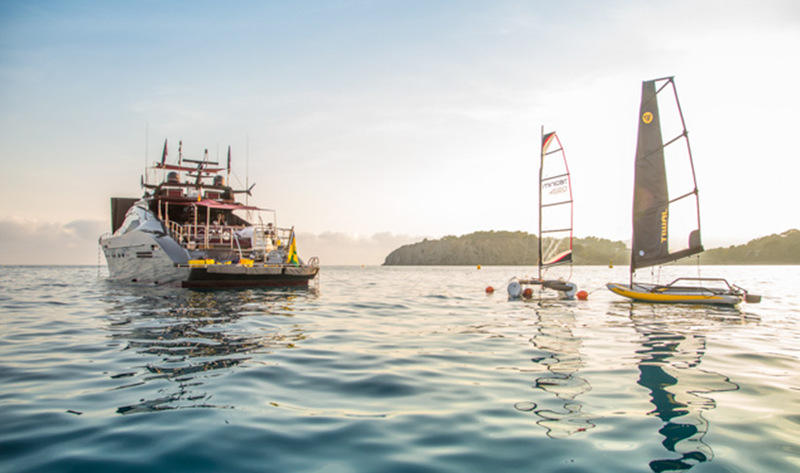 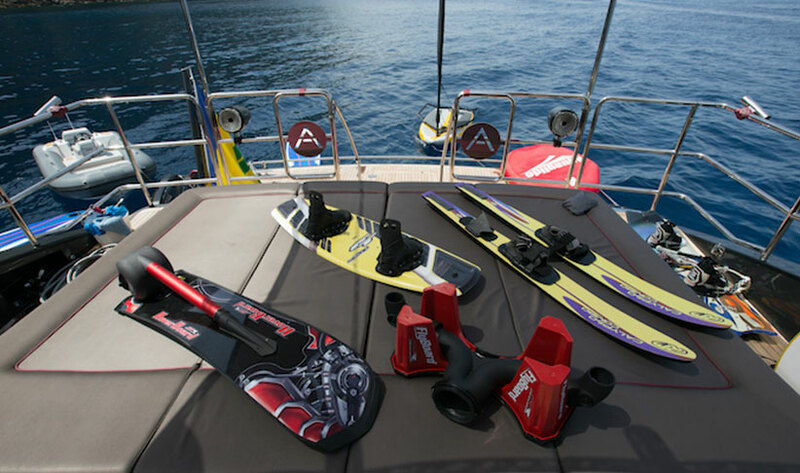 Equipped with all the toys including, DJ decks, state of the art sound system and an exciting selection of water toys stored in the aft and forward garages. 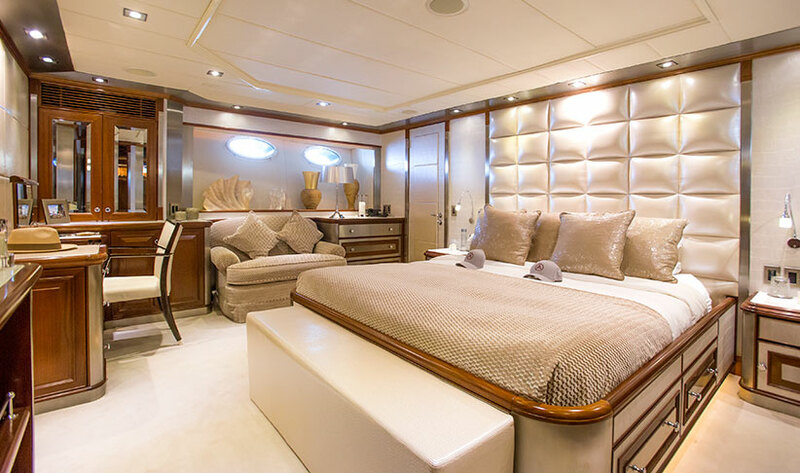 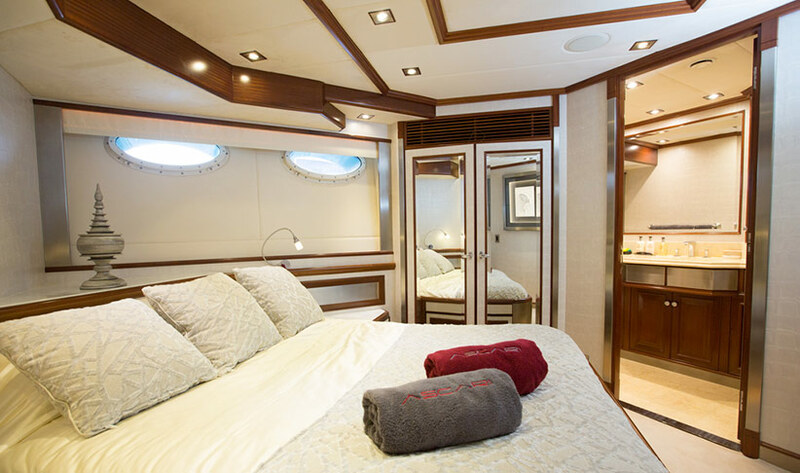 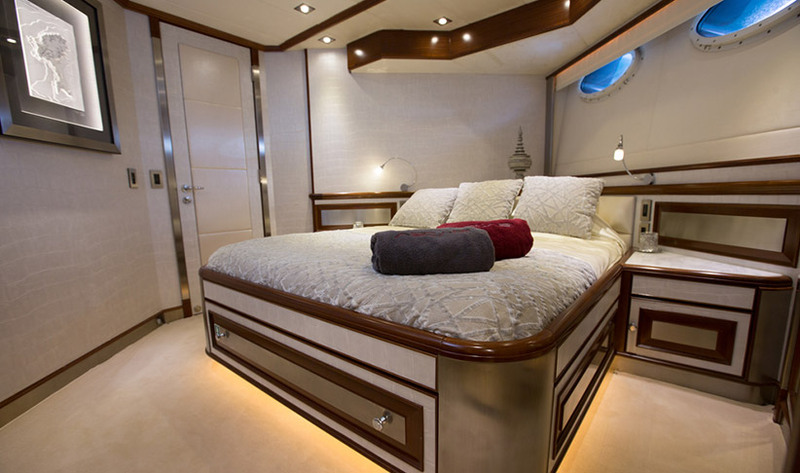 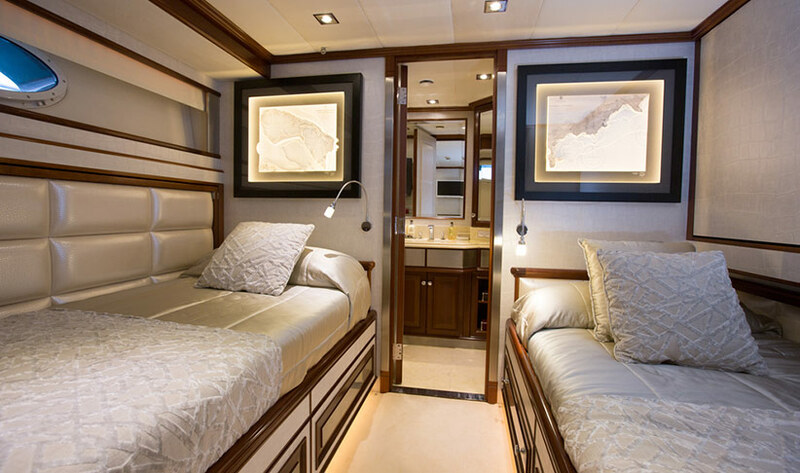 Below deck you will find the newly refitted interiors are light and spacious, while above deck you can choose to take in the magnificent views of Formentera or Es Vedra from the flybridge or get a 360º perspective from the forward or aft sunbathing area while enjoying VIP service from the crew. 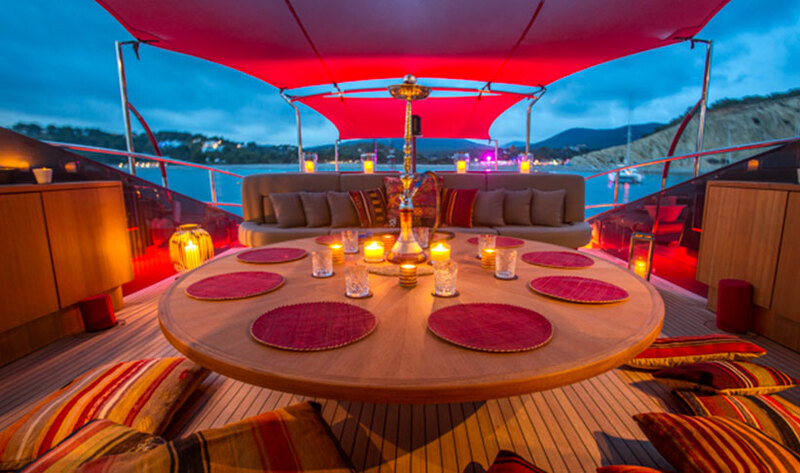 The aft deck is perfectly designed to accommodate 12 guests for afternoon cocktails followed by a gourmet 3 course Mediterranean dinner. 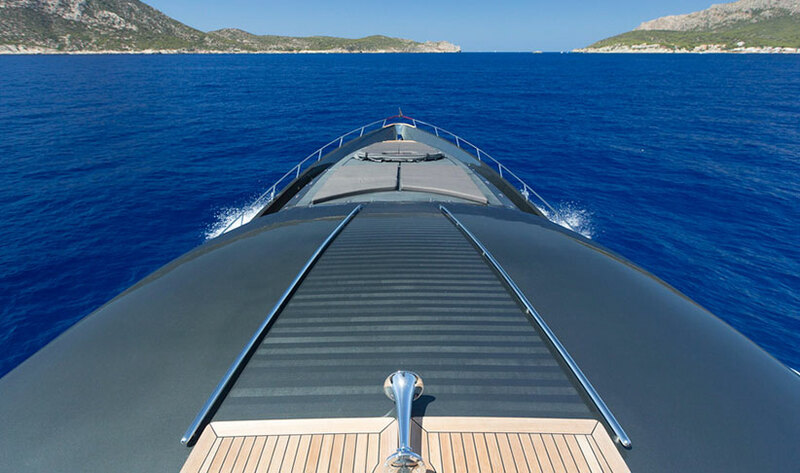 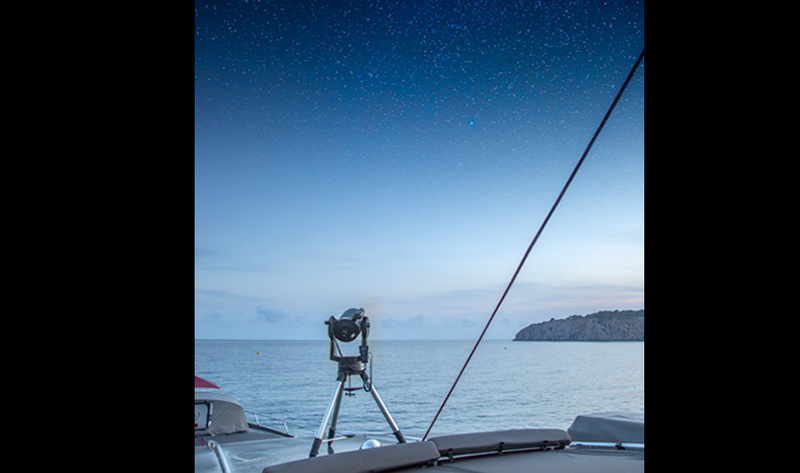 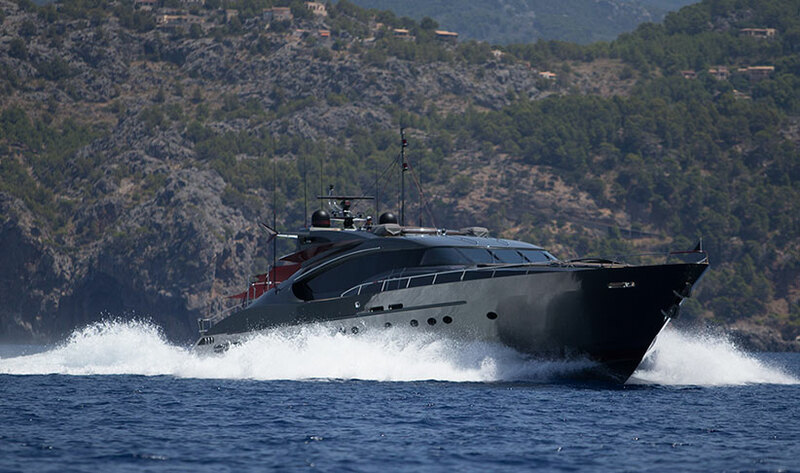 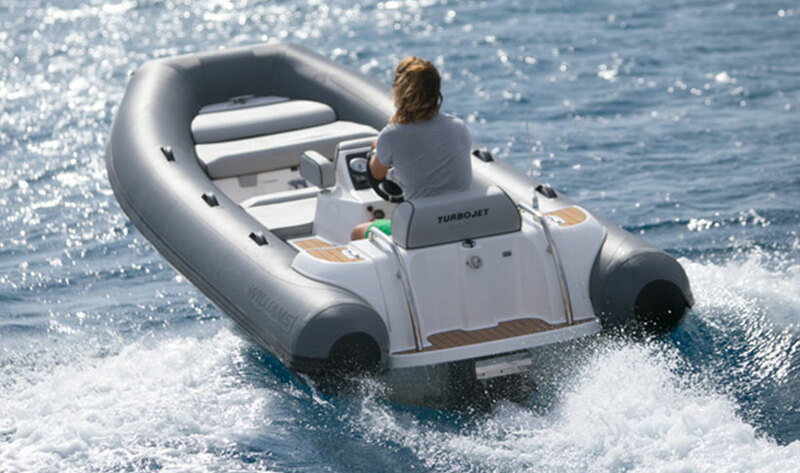 My Ascari also comes with an optional chase boat to maximise adventure on the water and allow for easy access to the crystal clear bays and coves or exclusive docks and beach clubs in Ibiza. 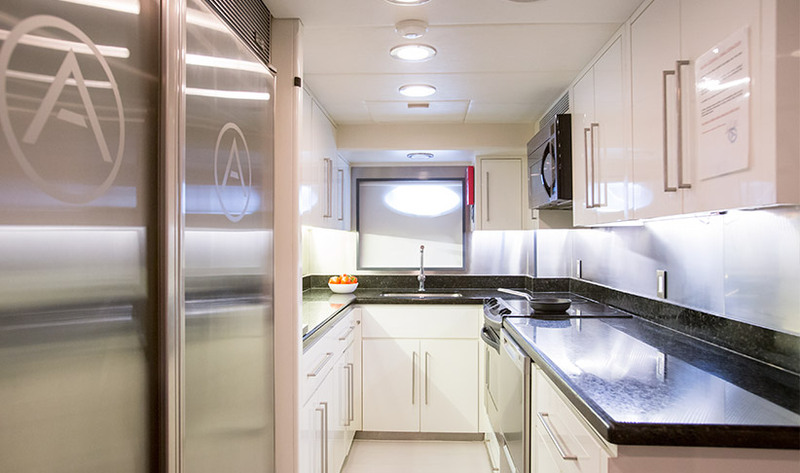 Chef Steward & Hostess incl.